Fans creating their own content in the world of their favorite games isn’t anything new — almost everyone has fun imagining what their own creations would look like manifested in a game world. But it’s less often that fan-made creations are so good they become nearly impossible to differentiate from the real deal. Even less often than that do these creations earn the attention of the game’s creative director. 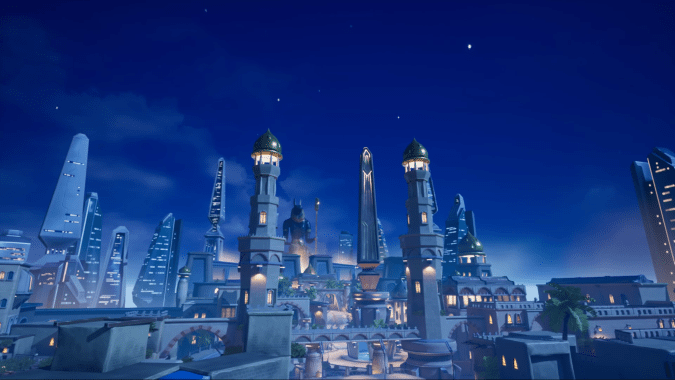 Honestly, as impressed as I am with Llorente’s work, watching the video makes me a little sad because of how badly I want this map to exist in Overwatch. Seriously, everything about this is what I love from an Overwatch map — architecture that combines old and new aesthetics, a nighttime sky above, and small details everywhere that marks an artist’s hand every step along the way. Don’t just take my word for it, though. Reddit and YouTube lit up with praise upon the map’s reveal. Dozens of commenters didn’t just encourage Llorente to apply to a job at Blizzard, they actually want him to apply! And can you blame them? I want Llorente to make his visions part of the actual Overwatch universe. The best part of all this, however, is that Jeff from the Overwatch team seems to agree. After less than a day of the Cairo map being on Reddit, Jeff stopped by to make a rare post. “Amazing work! We’ll be in touch,” was all he wrote — but that’s more than enough to get anyone excited. I can’t wait to see what becomes of this, but Llorente has already earned his spot on the Overwatch team, if you ask me. While we wait to see whether Jeff wanted to talk to Llorente about joining Blizzard or about joining the West Coast Wrestlers, be sure to check out Llorente’s other work on YouTube. His Favela map is especially worth looking at, as it’s equally impressive!